Daily Profits Review – SCAM? Dailyprofits.cc exposed! ViralPay.co SCAM review – Viral Pay does NOT PAY! Quick Home Websites Review – SCAM? See the LIES! Cash Grab Review – SCAM by Jamie Lewis? NO ONE TOLD YOU this! Home > Affiliate marketing > Private Cash Sites review – Scam? All UGLY TRUTHS exposed! Private Cash Sites review – Scam? All UGLY TRUTHS exposed! Welcome to my Private Cash Sites review! Wondering if this program is a scam or your ticket to passive income online? If your answer is yes, you’re in the right place! Before answering your questions, let me congratulate you for taking the time to do your own research before buying into another money-making program! There are too many fraudulent websites out there, so doing your due diligence is the way to avoid scams and find the legitimate way to earn passive income online! When it comes to Private Cash Sites, it’s not as awesome as they want you to believe. Here in this review you will find all the truth about this system, which will help you make a wise decision at the end. 2 What is Private Cash Sites about? 3.2 Who’s the real owner of this system? 4 Is Private Cash Sites a scam? If you’re sick of scams, check out my 1st resource to make money online HERE! What is Private Cash Sites about? Some days ago I got sent a link to the Private Cash Sites sales page, so I thought I would have a look at it to see if this one was legit or another scam. The moment I landed on the sales page, I didn’t get a good feeling because it looked very similar to other scam pages I have seen. So I started watching the sales video to see if I was wrong or not. The spokesman starts by saying that you have found a secret page, which is not true because anyone can access the Private Cash Sites sales page. That’s something that scammers say to make you believe that you’re one of the lucky few to have found a valuable page. And then he claims he’s going to show you a secret to make $3,000 every single day. This guy says that this system doesn’t require you to pay for hosting or have any special skills. He can allegedly make you super rich without doing much work. He claims he wants to be remembered like the one who saved you and stood up against all the scammers. Sounds cool? Well, he’s no different than the others because he’s doing the same thing. He first tries to gain your trust by telling you that he’s not like the others. And then, he tries to get you excited to make you buy his system. This is no different than the other systems that promise you can start making money in a short period of time. RECOMMENDED: Learn How I Make a 4-Digit Monthly Income Here! I couldn’t help but laugh while I was watching the sales videos because I remember watching those videos last year. You see, I’ve reviewed hundreds of “make money online” products so I know how to determine if they’re worth it or not. In the sales video for Private Cash Sites, we’re not told much about the system. The spokesman basically claims how easy it is to duplicate this system and become an Internet millionaire. He wants you to believe that you’re getting a system that can get set up in a few minutes and then you can already start making commissions. According to him, you can start earning money in 20 minutes after getting started, which sounds so cool but it’s not real. The idea is to duplicate the way he’s making money, which means that you’re going to get one-page sites to promote low-quality/scam products like Private Cash Sites. So what’s the problem? They don’t provide you with all the tools and training you need to earn the kind of money they say. Promoting scam websites or money-making programs that don’t work for customers is not ok because that’s not the proper way to earn an income online, and it’s not even the best way to make money for the long-term. It’s possible to earn money by promoting other people’s products, but the problem with Private Cash Sites is that they’re not teaching the right way to do this. 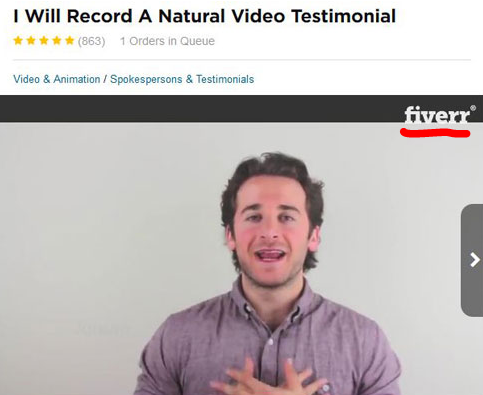 Depending on the sales video you watched (they’re using two sales videos to market this product), you might already know that this product is focused on affiliate marketing. I actually use affiliate marketing to earn a 4-digit monthly income online, so I know how it works. The reason Private Cash Sites doesn’t work is because the “done-for-you” sites they’re providing you with are not the kind of sites that can get ranked on search engines. These sites don’t come with original or unique content, which means that they will not get ranked because Google and other search engines don’t like sites with little to no valuable content. So, in order to drive targeted traffic to these sites, you will have to spend money on paid traffic, which is very risky if you’re on a low budget or just starting out. That’s why Private Cash Sites doesn’t work as advertised. You can’t just duplicate a done-for-you system and expect to earn thousands of dollars. Done-for-you systems only work for the people who have created them, not the people who buy them. Remember that I said there are two sales videos being used to market this system? Well, the reason for this is that this system is nothing new. Private Cash Sites is a new name for another product called Steal My System, which I reviewed in 2017. In one of the sales videos they actually mention “Steal My System”, which proves that this is a rehashed system. Scammers usually use different names to promote the same program/system to see which one converts better. Not only that, they also do this to mislead potential victims. They know that there are negative Steal My System reviews, so now they’re calling this system Private Cash Sites to prevent potential customers from looking for the truth of Steal My System. In the end, both Private Cash Sites and Steal My System are the same so it doesn’t really matter which sales video you watched. RECOMMENDED: Check Out My FREE Earn Money Online Guide Here! Who’s the real owner of this system? In the sales video for Steal My System, we’re told that the owner of this system is Steve. I personally don’t believe that because he doesn’t show up and I have realized that scam systems are usually promoted under fake names. At the bottom of the disclaimer page, you can read that the owner of Private Cash Sites is called Nathan Canfield. However, he doesn’t show up either. So who is the real creator of this product? I believe that the real creator doesn’t show up because he/she doesn’t want to face the consequences of scamming. I have exposed lots of scams and I have realized that the owners of these BS products usually avoid revealing who they really are. Because of this, I cannot trust Private Cash Sites. If you have watched the video that was used for the Steal My System scam, you may remember some people who claim to have made thousands of dollars thanks to this system. The problem is that these people haven’t really bought this product and everything they say is invented. They’re Fiverr actors that have got paid to recite the script that the con artists gave them. So there you have it. If this system was as good as advertised, they wouldn’t have had to pay these Fiverr actors to get positive reviews. The fact that they lie about the testimonials is a big red flag because means that we can’t trust the owner of this product. 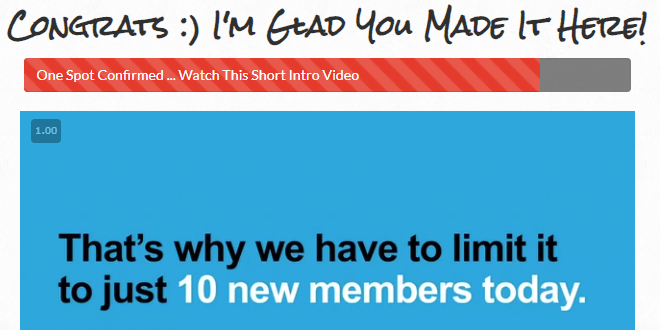 Another red flag is the fact that they say they’re putting a limit to the amount of members who can join this program. This is an old trick used by scammers to make you buy on impulse. These con artists never limit the amount of sales they can make, so don’t let them fool you when they claim there’s some kind of limitation. Is Private Cash Sites a scam? The answer to this question really depends on your perspective. Private Cash Sites doesn’t live up to its promises because it doesn’t provide you with the kind of training and tools that can help you build a sustainable affiliate marketing business. And the fact that they’re marketing this product as a get-rich-quick scheme is another red flag because they’re giving you false expectations. As you can read above, the typical purchaser doesn’t make any money with that system. So is Private Cash Sites a scam? It’s up to you how you call it. You might learn something from the training they provide, but it will not help you make the kind of money that they promised. With that said, I have to conclude that I do not recommend Private Cash Sites. The day I realized that done-for-you systems and get-rich-quick schemes weren’t the best way to make a legitimate income from home, I stopped wasting my time on them. I’m glad that I found a business model called affiliate marketing that enables me to work anywhere as long as I have a computer and an Internet connection. This business model doesn’t require me to recruit or promote the same thing as other people. There are lots of affiliate networks/programs where you can find different products to earn money from. It takes time and effort to start making a substantial income, but hard work pays off. You also get the chance to receive my personal guidance and get help from other like-minded people as well, so you will be able to ask whatever you want because there’s always someone willing to give you a hand! Are you ready to stop wasting your time on scams and start your online asset today? CHECK OUT MY FREE EARN MONEY ONLINE GUIDE HERE! I hope this honest Private Cash Sites review has been helpful to you and you will make the best possible decision. Feel free to share it with whoever you believe that will benefit from it! If there’s something else you want to know or you have any questions, don’t hesitate to leave a comment below and I’ll get back to you ASAP! Hey there! I’m Miren and welcome to my site. I started this site to help people avoid online scams and teach them how to make money online. The China Secret SCAM? Review reveals the SECRETS of this system! Is EB Formula a scam? Review reveals all RED FLAGS! Is Blazing Trader a scam? Find out the truth! Copy The Millionaire review – Is it a scam or $3,245 per day? What is Jaaxy about? Find keywords for free! What is SiteRubix? Build free websites now! What’s so good about affiliate marketing?